Some traders believe January predicts the rest of the stock-market year. The Stock Trader's Almanac established the January Barometer in 1972. This barometer says that the performance of the stock market in January predicts the rest of the year. The accuracy rate of this barometer is 90 percent. 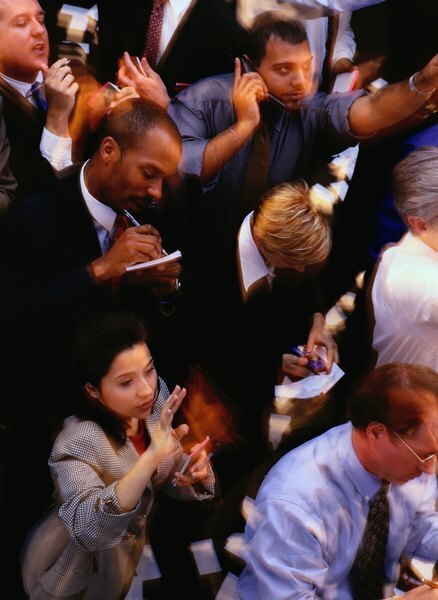 However, that doesn't mean all traders wait until the end of January to make trading decisions. Some indicators during the month can give you an indication of where the market might head during the remainder of the year. A Santa Claus rally is a year-end rise in stocks that lasts into the new year. This rally usually starts the week before Christmas. It ends on January 4th. It can begin any time in December, but it gets its name from the fact that it usually occurs during the last week of December and carries into the new year. If this rally occurs, it can bode well for stocks in January and the rest of the following year. A failed Santa Claus Rally occurs when traders sell stocks in late December to get rid of their losers as tax write-offs. If the rally survives tax selling, some traders buy stocks in early January. The first five days of January can predict the rest of the month and the rest of the year, according to both MoneyMorning.com and the Stock Trader's Almanac. In years when the Santa Claus Rally lasts through the first five days of the new year, it has successfully predicted the direction of the S&P 500 index 33 out of 39 times. The average gain for this index when the first five days are positive is 13.6 percent. One strategy is to wait until the first five trading days are over to make a decision about jumping into the stock market. If you want to hone your buy signals to a fine point, you can consider post-presidential election years. As of 2013, the last 11 out of 15 years following a presidential election have predicted the market's direction. The S&P 500 has followed the trend of the first five days of trading in January in these post-election years. That includes both up and down years. In other words, a trader could wait for the first five days of trading in years following the election of the United States President, and assume that the S&P 500 will follow that trend. Such a trader would have been right most of the time. If you don't feel like taking on the risk of investing in a rally that could fizzle, you can wait until January is over to make your decision. After all, no January indicator has 100 percent accuracy. If you wait to see if January posts a gain, you can decide whether you think that bodes well for the rest of the year. Investor sentiment for the year will be positive or negative by that time, and you can decide whether to follow the crowd. Money Morning: Stock Market 2013-Does January Barometer Signal Dow at 15,140?